It has been revealed LIVE on BBC One that Peter Capaldi IS The 12th Doctor. Peter Capaldi commented on being offered the role: “Being asked to play The Doctor is an amazing privilege. Like the Doctor himself I find myself in a state of utter terror and delight. I can't wait to get started." Doctor Who companion, Jenna Coleman says "I'm so excited Peter Capaldi is the man taking on the challenge of becoming the Twelfth Doctor. With Steven's writing and his talent I know we'll be making an amazing show with an incredible incarnation of number 12. I can't wait to start this new adventure!" 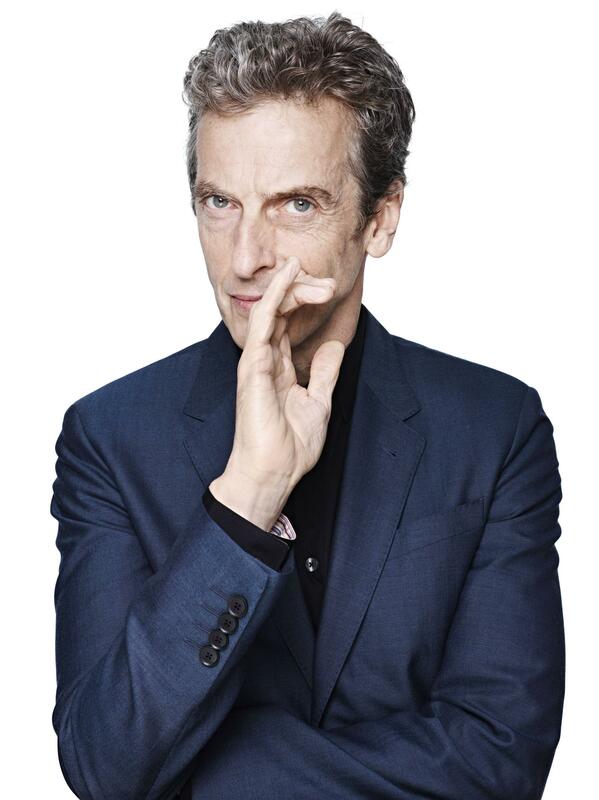 Peter Capaldi is an award winning actor, film maker and lifelong Doctor Who fan. He has enjoyed an illustrious career to date in both film and television. Before securing the coveted role of the Twelfth Doctor, Peter first appeared in Doctor Who in 2008, playing Caecilius in the episode "The Fires of Pompeii". Peter grew up in Glasgow and attended the Glasgow School of Art, while studying there he secured his first breakthrough role in Local Hero (1983). He has also had roles in Dangerous Liaisons, The Crow Road, The Devil’s Whore and Torchwood: Children of Earth. It is his role as Government spin doctor Malcolm Tucker in the BBC comedy series, The Thick of It , that has earned Peter both international and award success. In 2010 he won the BAFTA Television Award for Best Male Performance in a Comedy Role and the BPG Best Actor Award. In both 2010 and 2012, Peter won the British Comedy Award for Best TV Comedy Actor. A film spin-off from The Thick of It, entitled In the Loop, was released in 2009. As well as appearing in front of the camera, Peter is an award winning film maker. In 1995, he won the Oscar for Best Short Film (Live Action) for Franz Kafka's It's a Wonderful Life. He also wrote Soft Top, Hard Shoulder, which won the audience award at the London Film Festival, and wrote and directed Strictly Sinatra. Peter's stage credits include Professor Marcus in The Ladykillers at the Liverpool Playhouse, which saw the play transfer to the Gielgud Theatre in London. 2013 has been a busy year for Peter who has been seen on screen in the film World War Z and in BBC Two drama series The Hour, for which he was BAFTA nominated. Not only will Peter film his first scenes for Doctor Who this Autumn, but he will appear in the forthcoming film The Fifth Estate and the Disney film Maleficent. Peter is currently filming new BBC One drama series The Musketeers, in which he plays Cardinal Richelieu which will launch in early 2014. Well lets hope he never meets Cpt Jack or TORCHWOOD again talk about wibly wobly timey whimey. However do not feel this is a godo chocie as nevere really like him. I kind of like the feeling of the show going back to its roots. Older Doctor, maybe not so much kissy kissy in the TARDIS anymore? I kind of get a third doctor/Jo vibe will be more of the theme. I adore this choice. I think it was the perfect time for a mature doctor so the "romance" factor would not be the overall factor. It will be an entire new direction and future plots possibly will be more about the "situation" and not so much about emotions and feelings and relationship of a romantic nature. Not to say I am still in love with the relationship with Rose, but it still carried over to some extent with #11 via the companions, and I could use a "Doctor is he or isn't he enamored of the companion or guest" break. I think they made an excellent choice. I wholeheartedly agree and can't wait to see the new Doctor in again. I will miss the goofy Doctor #11. He was a good doctor. I adore this choice too! We were praying for it to be him! So relieving! "Phew!". Yeah, agreed. He will be amazing. He's an absolutely astonishingly good actor. He has warmth and charm, combined with the capacity to scare the crap out of you. So, of all the non-female, non-ethnic minority actors considered for the role I'm glad it's him. But as I said over on Blogtor Who, I can't help being a little disappointed. I really, really wanted the Doctor to be non-white and/or female. Nevermind. And yes, I understand why people have objections to a female Doctor, and I understand that Moffat and the Beeb had a tough call to make, replacing an actor as phenomenally popular as Matt Smith, and that they did the sensible, safe thing in opting for a well-known, acclaimed dramatic actor. But still. A little sigh. Anyway, positives - as noted above, he's a great actor. He's a fan (that letter he wrote as a kid was freakin' adorable). He's absolutely magnetic - you CANNOT take your eyes off him when he's onscreen. Spectacular range vocally and emotively. He will scare the bejeesus out of the Daleks. And he's older, so presumably no more of this Doctor/Companion relationship nonsense... back to the good old days, as it were. I only hope they let him retain his accent, and give him a great costume (poor, poor Colin). Yeah, I was hoping for the Comic Con trailer too, but oh well. Of course they weren't going to put that in - this was Peter's do, his moment in the spotlight, so they absolutely made the right choice there. I'd also just like to thank the Combom team again for making this available to those of us outside the UK. You guys are awesome. I think they knew before they cast Clara that they wanted a more classic-series vibe for the 12th Doctor era, she looks far more like a classic companion than any of the other recent companions, especially in her clothing. Given Mr Capaldi's 'secret' audition, I suspect Moffat knew he wanted him for the role a long time ago, last year even. And to keep Rose and River special in the audience's hearts, the writers kind of have to stop re-treading the romance angle, at least for a while. What a cool way to make Clara's story different from Rose's... have her slowly start to fall for 11, only for him to turn into someone else who's not interested! (Of course, we don't know that yet, but it would be a neat way out of it).